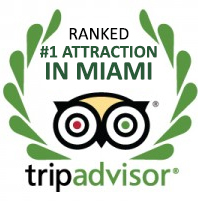 Do you know what one of the top rated attractions in Miami is on TripAdvisor? Lock & Load Miami has risen through the ranks and is currently ranked as the #1 attraction on the world’s largest travel site! Lock & Load provides a unique adrenaline-filled experience that is 100% safe and staffed by trained law enforcement professionals. If you aren’t familiar with Lock & Load, it’s South Florida’s premier machine gun experience and state-of-the-art shooting range. Located in Miami’s Wynwood district, Lock & Load offers the nation’s greatest variety of fully automatic firearms with over 25 machine guns available for use in themed packages and a la carte. Locals and tourists (domestic and international) can experience the adrenaline rush of fully automatic firearms in a safe and private environment under the direct supervision of trained professionals. “While on business in Miami we took a break and visited lock and load Miami, not being a gun enthusiast i was a little apprehensive about going however my fellow workers dragged me along with them. it turned out to be one of the best experiences i ever had from the moment we walked in we were greeted by a staff that was professional and quite knowledgeable about there product. they went out of there way to make me feel comfortable and safe in there environment. I got to shoot 3 different types of machine guns and what a rush it was.At no time did an instructor ever leave my side from the time i walked into the range area until we walked out the door. I encourage anyone who has a little extra time while in Miami to stop by lock and load and experience what i did, a terrific experience and a great time. 5 STARS FOR SURE” -Alan E, Lake Forest, Il.